Click here to discover the top universities for art in each world region. Alternatively you can view the 2019 art ranking here. While arts and humanities degrees are usually among the most affordable, it can nonetheless be important to find funding in order to make studying at your chosen art & design school viable. If you’re interested in studying at any of the 10 top art schools in the QS World University Rankings by Subject 2018, here’s information on scholarships and funding opportunities available at each institution. Alternatively, you can view the full art school ranking here, or read about the methodology used to compile the ranking. Ranked 10th for art and design, Stanford University in the US has one of the highest scores for employer reputation among these top art schools. All of its art programs cost a whopping US$48,987 per year, and Stanford estimates that the average undergraduate student will need around $69,109 in total for their expenses, including tuition fees, accommodation fees, books and other expenses. Luckily, 70 percent of students receive some sort of financial aid to attend Stanford. Financial aid is determined based on your family’s financial services, with an average of $49,896 awarded to the class of 2020. If you’re an international student who requires financial aid, you’ll need to state this when you apply. You could also look for scholarships from other organizations to study in the US. Finland’s Aalto University, located in capital city Helsinki, is up four places to rank ninth in the art school ranking this year. It was founded in 2010 from the merger of three institutions, including the University of Art and Design Helsinki. While students from the EU/EEA study for free, if you’re not from the EU or EEA and want to study in English you’ll need to pay tuition fees. At Aalto University these are €12,000 (~US$14,800) per year for bachelor’s degrees and €15,000 (~US$18,500) per year for master’s programs. Merit-based scholarships are available for non-EU/EEA students, which award 50 or 100 percent of the cost of tuition. It’s worth noting that if you want to study a bachelor’s in art and design, this is only available in English. 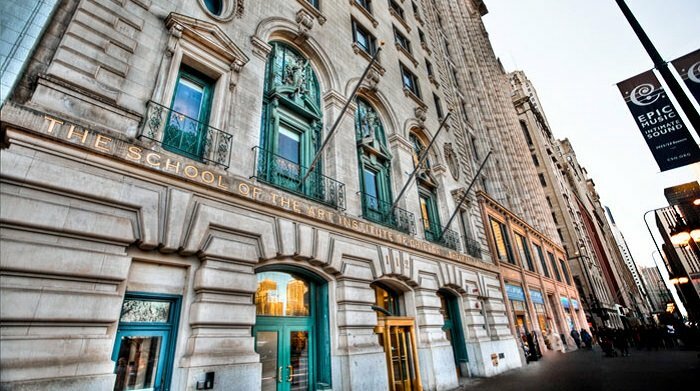 The School of the Art Institute of Chicago (SAIC) is one of the largest independent schools of art and design in the country, with around 3,650 students. Tuition fees are currently $46,560 per year, with the school estimating total expenses of $60,800 to study at SAIC. Luckily, a variety of merit and need-based scholarships are available, with more than $42 million in financial assistance awarded in the 2016-17 academic year. International students aren’t eligible for need-based financial aid from the government, but can apply for SAIC’s merit-based awards, such as the New Artists Society Scholarship for master’s degree students, which awards 50 to 100 percent of the cost of tuition. Ranked seventh in the art school ranking this year, Pratt Institute is a private institution located in the Brooklyn area of New York City, US. Its art and design programs offer an integrated curriculum which combines studio thinking with learning theories and current research in the field. The tuition fee for undergraduate art students is currently $47,986 per year. If you’re studying a Master of Fine Arts (MFA), it is $51,390. Undergraduate students can apply for merit or need-based scholarships (although again, international students do not qualify for need-based aid), as well as restricted or endowed scholarships, while all accepted applicants of the institute’s graduate departments are considered for merit-based scholarships. The large, specialized collegiate University of the Arts London (UAL) is ranked sixth for art & design this year. Famous alumni of UAL’s six renowned colleges include painter and printmaker Howard Hodgkin, illustrator Quentin Blake, fashion designer Stella McCartney, and painter Lucian Freud. If you’d like to follow in their footsteps, tuition at UAL unfortunately isn’t cheap. Fees total £9,250 (~€10,400) per year for undergraduate home/EU students, while international non-EU students commencing their studies in autumn 2017 paid £17,920 (~US$24,900). Scholarships available at UAL include the Grand Prix LVMH Scholarship, for a student of any nationality who is enrolled in the final year of a BA in Fine Art degree, and MEAD Scholarships and Fellowships. Politecnico di Milano is the largest technical university in Italy and is up two places to rank fifth in the world this year for art & design. Tuition fees for laurea magistrale programs (equivalent to Master of Science) range from €883-3,886 (~US$1,100-4,800) per year for EU students, with non-EU students paying €3,886 per year. The university offers merit-based scholarships for talented international students admitted to its Master of Science programs. Students who obtain a scholarship will have their fees waived and only need to pay an administrative fee of €200 (~US$250). It also offers need-based DSU scholarships for both current and prospective students. Ranked fourth for art this year, Massachusetts Institute of Technology (MIT) considers the arts a fundamental aspect of the core curriculum and research community, with 50 percent of MIT undergraduates enrolling on arts programs per year. Tuition fees currently stand at $49,580 per year for all undergraduate and graduate programs, plus a mandatory Student Life fee of $312. The good news is that MIT is need-blind to all students, both domestic and international, meaning students are considered entirely on their own merits and not by their ability to pay, and MIT meets the full demonstrated need of undergraduate students for all four years of their degree. 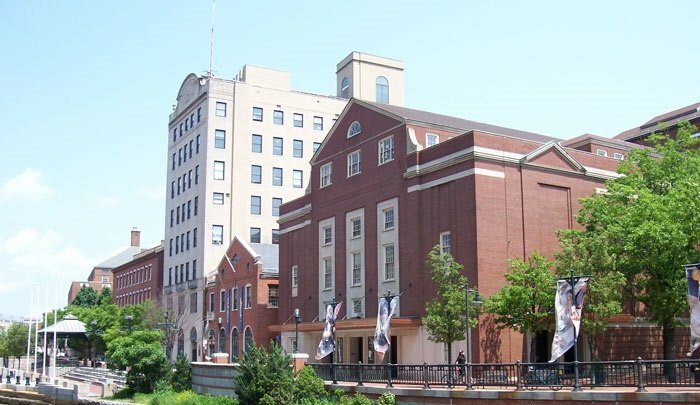 Next in our look at the 10 top art schools in the world is the private Rhode Island School of Design (RISD), located in the state capital Providence. Up one place to rank third for art and design this year, RISD offers a wide range of art and design programs in fields of study such as architecture, ceramics, film/animation/video, graphic design, illustration, photography, painting, printmaking and more. RISD currently charges tuition fees of $48,210 per year for all courses, and offers its own RISD scholarships, which are awarded based on a combination of financial need and academic merit, as well as special scholarships which are awarded to outstanding first-year students who don’t necessarily demonstrate financial need. Also up one place in this year’s art school ranking is Parsons The New School for Design, which is located in the Greenwich Village area of New York City – an area known for its thriving arts scene and bohemian atmosphere. 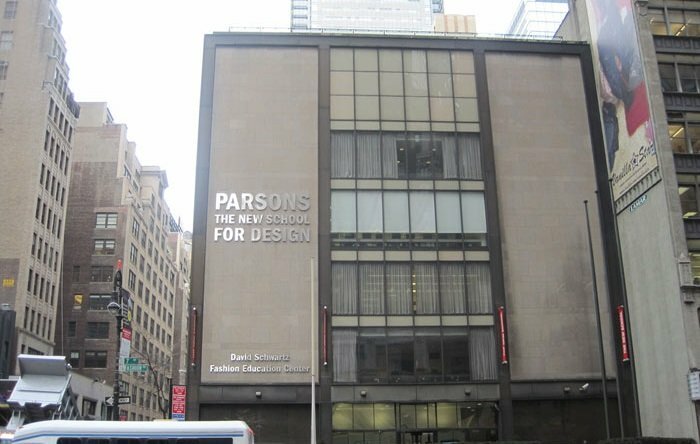 One of the five colleges of The New School, Parsons is known for its distinguished alumni, having educated numerous prominent fashion designers, photographers, designers, illustrators and artists. Undergraduate degrees at Parsons cost $45,240-46,820 per year plus fees. Scholarships available include the John L. Tishman Scholarship, awarded to students who show an interest and commitment to sustainable development, design, and construction, and the William Randolph Hearst Scholarship, awarded to students engaged in socially responsible art or design projects. 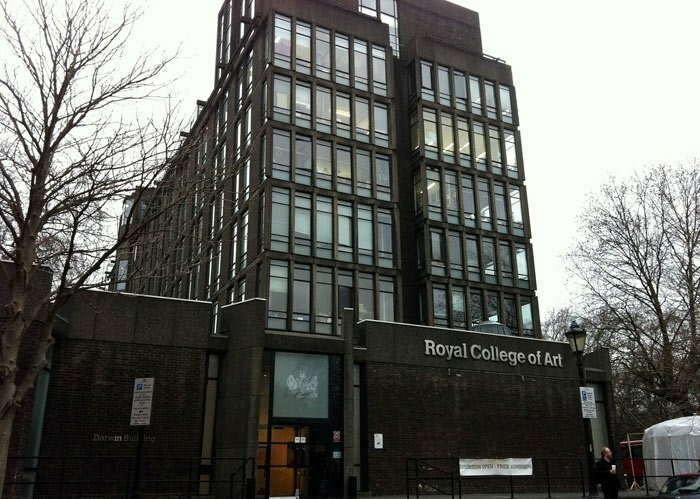 Number one in the rankings by subject for art & design this year is the UK’s Royal College of Art (RCA), located in the South Kensington and Battersea areas of London. RCA offers 29 postgraduate programs across many art and design disciplines, separated by the schools of architecture, arts and humanities, and communication. Tuition fees at RCA vary depending on the level of study and your country of origin. Domestic/EU students pay £12,350 (US$13,900) per year for the college’s MRes programs, while non-EU students have to pay £32,800 (US$45,500). Graduate diploma student fees start at £18,800 (~US$26,060). In terms of funding, domestic and EU students can apply for postgraduate loans from the UK government, and RCA offers its own competitive pre-entry scholarships, awarded based on the strength of your application and portfolio, your financial need, and your perceived talent and academic promise. You can explore more scholarships to study art here. Hi, I am Sudeepta. 27 years old . I want apply for scholarship in abroad. I am not a fine Art student, I have done BCA (Computer application)and MBA in sales but I am interested in painting. so i want to study in abroad in painting, Please suggest me a good university for full time scholarship. Thanking you.